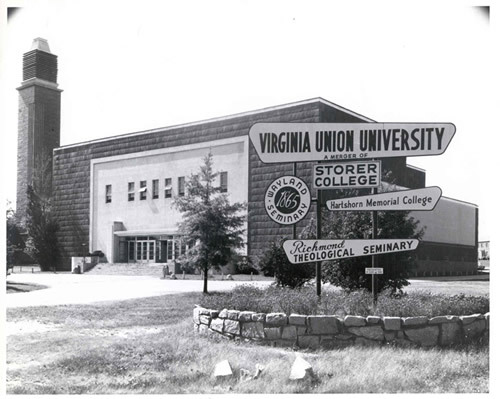 In 1941, a lifetime before anyone thought to express the sentiment using spray paint, a more enduring and constructive affirmation that Black Lives Matter was erected at Virginia Union University. The notion was a relatively unpopular one back then, slavery having been abolished only another lifetime earlier, but those looking today for a local monument that celebrates the best of Richmond’s heritage can proudly point to what’s become known as the Belgian Friendship Building. 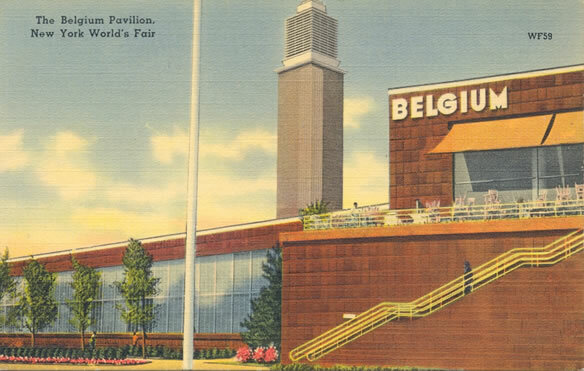 Visitors to the 1939 World’s Fair in New York City would have seen the same building, with its maroon brick tiles and distinctive slate bell tower, from which Belgian folk songs would peal across the fair’s “Lagoon of Nations.” From its cloyingly altruistic theme “Building the World of Tomorrow” to the massive steel sphere that served as its focal point, the fair was a direct precursor to a certain Florida theme park that would open some four decades later. While the fair’s earnest optimism must have been a comfort to visitors still struggling to pull themselves out of the Great Depression, 1939 wasn’t a particularly opportune time for its message of global collaboration. Shortly after the fair closed in October 1940, many of its structures – including the 18-story sphere in the center of the park – were razed and scrapped to be turned into munitions for World War II. The Belgian government didn’t want its pavilion to meet the same fate, as it had been designed by their nation’s foremost architect to be easily disassembled so it could be brought back for use as a college in its native country. But by then they were in exile, their country under German occupation for the second time in three decades, with no way of bringing their prized structure back into it. In a desperate diplomatic effort that must have landed with all the subtlety of, well, a hammer to a multi-ton bronze bell, the Belgian government elected to give their tower’s carillon to Stanford University’s newly-erected Hoover Tower. Hoover, a Stanford alumnus, became a hero in Belgium long before he was elected president here for his efforts to provide food to its citizens after the Germans invaded it during the first World War. The Belgians wanted America to know that its generosity hadn’t been forgotten, and would likely be relied upon again. In 1941, all 35 bells were loaded on a train to Palo Alto, where they remain today, sounding beautiful as ever. All of which brings us to the rest of the building, a sprawling and elegant four-unit complex that the Belgians essentially decided was free to a good home – provided its new owners would be able to pay for its transportation and reconstruction. As the applications for the building rolled in – there would be 27 in total – one candidate began to emerge as the clear favorite. Dr. John Malcus Ellison must have known he faced an incredibly trying tenure when he became president of his alma mater in 1941. 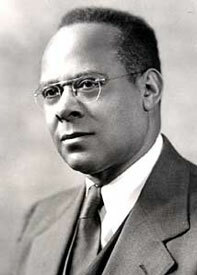 As Virginia Union University’s first black leader, he had the burden of trying to prove a member of his race could handle the position’s rigors – all while fighting against Jim Crow policies and a wartime draft that would soon drastically deplete his student body and faculty. Just as pressing an issue was obtaining space for the students already enrolled; he had talented basketball players but no court for them to play on, he desperately needed laboratories for his science program, and there was no library on campus. It just so happened, he learned, that the Belgian government was giving away a complex that could take care of each of those problems. All he needed to do was apply. But why would Belgium donate its building to a relatively unheralded, historically black university in Richmond? The answer can be found in a pair of sandstone bas-reliefs at the base of the bell tower. Despite being generally known today for delicious things like waffles, chocolate, and beer, Belgium owns a track record in Africa every bit as horrifying as America’s. After somehow convincing the international community that he intended to offer philanthropic and humanitarian aid to its indigenous people, Belgium’s King Leopold II privately took over a swath of central Africa in 1885, which he named the Congo Free State. Over the course of the next 23 years, he proceeded to use unimaginable brutality to extract ivory, rubber and minerals for his personal gain. By the time humanitarian groups and journalists were able to expose what had happened, an estimated 10 million natives – some 20 percent of the colony’s population – had been killed. 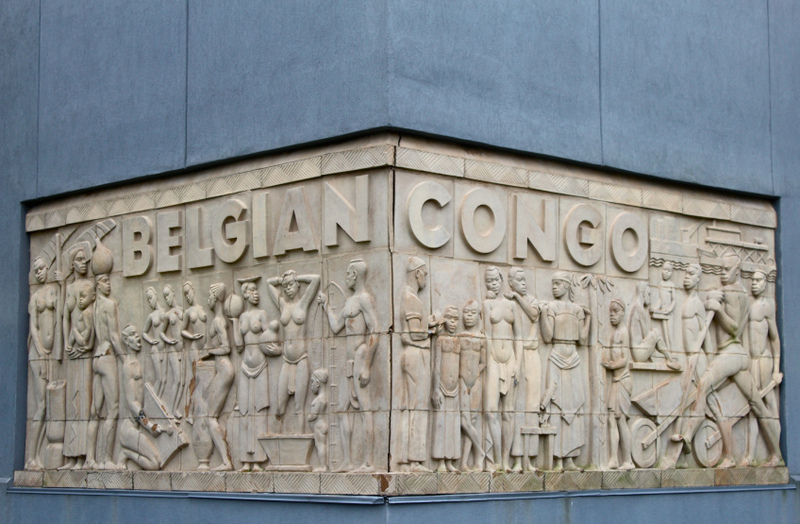 By 1908, Belgium had assumed broader control of the area, renaming it the Belgian Congo, and by 1939 had proceeded to make living conditions at least nominally better for the colony’s original inhabitants. The bas-reliefs at the base of the tower purport to show these natives in harmonious productivity – Look at us singing and dancing and building things! – but it’s safe to assume the subjects’ states of undress and superhero physiques reveal some uncomfortable truths about prevailing Belgian attitudes toward Africans at the time of the fair. Thankfully, the Belgian government’s decision to award their building to Ellison, as a means of promoting black achievement and atoning for their former king’s atrocities, proves that at least their hearts were in the right place. He had his building, but Ellison still needed to raise the $500,000 necessary to transport and rebuild it on his campus. The stage was set for one of the most inspirational chapters in our city’s history. It wouldn’t be easy to raise money for a black university in Jim Crow Richmond, especially while a global war was being waged, but Ellison was uniquely suited for the task. He’d overcome an adolescence spent earning $7 per month as a farmhand in the Northern Neck to become a teacher and earn both a M.A. in Theology and a Ph.D. in Christian Education and Sociology while founding a high school and writing several books about rural black life in Virginia. An Oberlin College professor told him dismissively, when he was earning his master’s, that he would never achieve much because of his race. That same professor, so impressed by Ellison’s subsequent accomplishments, asked him years later to deliver his eulogy. Long odds didn’t scare John Malcus Ellison. And so he went to Richmond’s churches and local leaders, black and white alike, leaning on the easy confidence and charming eloquence he’d picked up as a pastor, telling all his audiences the same thing. The students need this, he’d say. Our city deserves this. Our future depends on this. They listened, and offered what they could. He had the money within a year. “It was a miracle,” Ellison’s niece remembers. Dianne Watkins was raised by her aunt and uncle on Virginia Union’s campus and watched firsthand how the sparkling new building transformed student life by offering not just better opportunities but a stronger sense of community. Ellison’s home became a place for traveling black luminaries like Marian Anderson and Langston Hughes to visit, his campus a place where Watkins could forget about the hurt she felt as a child in a dress and white gloves forced to use the dingy basement bathroom at Thalhimer’s or eat at a separate counter at the Woolworth’s deli. Towering above that campus as Watkins grew up, beckoning to drivers along the newly-built Richmond-Petersburg Turnpike, the bell tower remained silent, save for the coos of pigeons that had taken to roosting in its rafters. It would remain silent for nearly seven decades. 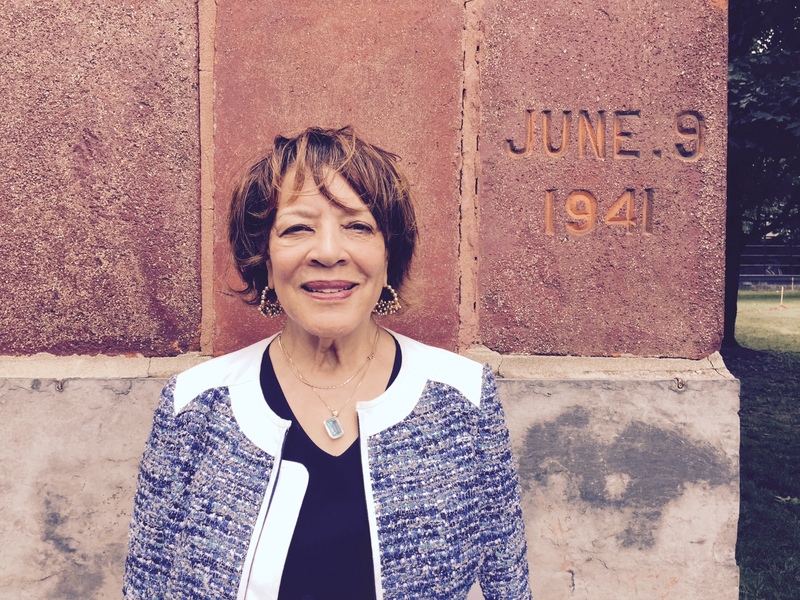 Today, Watkins leads a non-profit she founded, Bells for Peace, dedicated to returning bells to the tower and honoring the legacy of her aunt and uncle. She confesses she still has a long way to go toward obtaining the money needed to purchase those bells, but in 2011 was able to raise enough to install an electronic chime system in the structure. You can hear them ring three times a day – at 8 a.m., noon and 6 p.m. – pale imitations of the booming carillon the tower once housed, to be sure, but a pleasing reminder of its original purpose nevertheless. As wonderful as new bells might sound, however, it’s hard to imagine them any more elegant than what the Belgian Friendship Building already represents. 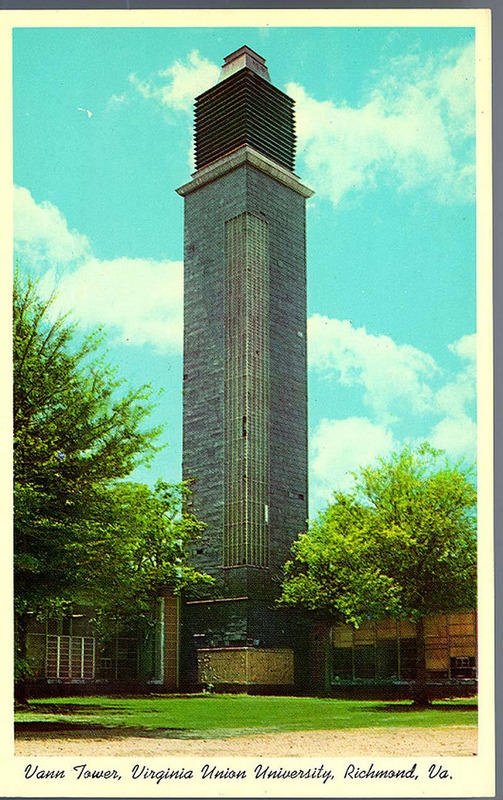 Built to improve the lives of those unfairly treated during one of the most embarrassing periods in Richmond’s history, the perfectly imperfect bell tower reminds us still of the timeless power of redemption and the enduring beauty of generosity.